This shows you how long I have been keenly interested in local history and my family roots. I received an Kodak "Instamatic" for Christmas in 1971 (I was age 12) - you remember the kind with the little cassette cartridges for film? 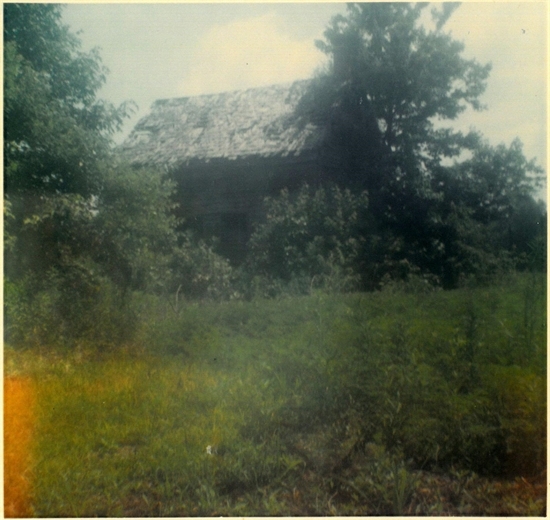 I took a lot of pics and had my grandfather Carroll Hitch take me to his great grandfather's house to take a picture. The house was located on Stevens Rd. and the end of McGrath Road in Worcester Co. I took this picture in the summer of 1972. The h ouse was razed not long after this. The owner of this house was my 3x great grandfather Washington Henry Hitch (c1821-c1872) and his wife Matilda Margaret (Denston) Hitch (1824-c1884). The land tract this stands upon was originally a patent called 'Heaths Venture' surveyed in 1729 and patented by William Heath in 1762, In 1765, Heath's sons William and Wilson sold the land to George Brown (c1717-1788), he being my 7x great grandfather. The land descended down the Brown line to his great granddaughter Henrietta Brown (1800/01-183x) who married my 4x great grandfather Samuel Hitch (1784-1858). Samuel Hitch was father to Washington Hitch mentioned above and the land ends up in Washington's hands in 1858 when Samuel dies. From this record, I might assume that the house was built around that time (1858) but looks older in construction so maybe it stood earlier.